We believe that a time is coming when the Slovak churches will be prepared to send out and support their own missionaries abroad. But we are not just dreaming - already now we are in a position to support somebody else's ministry. 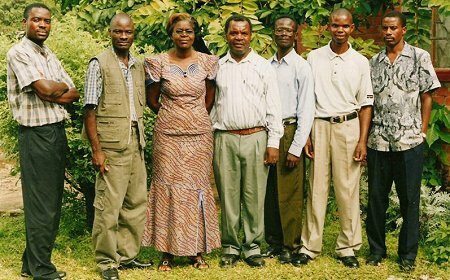 We used one opportunity in autumn 2005 when we were approached by a Christian Resource Centre from Zambia. CRC is a non-profit organisation supporting Christian full-time workers who preach, teach and plant churches in Zambia. It is connected with the Brethren churches and the organisation CMML (Christian Missions in Many Lands). It helps by providing missionaries with things like bicycles, mosquito nets and sleeping bags and theological literature. CRC is led by a Board of trustees with 7 members. From its funds CRC buys bicycles ant other things and gives them for free to Christian full-time workers who were recommended by their churches or Christians from their area of ministry. Occasionally they have donated money to help these workers care for their families. They receive many requests for help with tents, folding beds, lamps, theological literature etc. but had to decline because of financial limitations. At the 5th missionary conference we started a collection to support the ministry of CRC. The response was encouraging: between autumn 2005 and spring 2006 we have collected more than 3 000 USD that enabled CRC to buy bicycles and other things for 8 Zambian missionaries. Our help was received thankfully and joyfully. NEW: See a report of a visit of Peter Kozar from Slovakia in this African country.